A new Migos album will be released next year. Fans have been eagerly awaiting a follow-up to 2018's 'Culture II' and while the trio have all been working on individual projects – Quavo's 'Quavo Huncho', Takeoff's 'The Last Rocket' and Offset's 'Father of 4' – Offset has revealed that a new album is on the way. In a Twitter chat with fans this week, he was asked when Migos plan to drop a new record and replied: "next year". He also revealed that he will release 'Without Warning 2', a sequel to his joint album with 21 Savage. Meanwhile, Offset recently insisted he tried not to "offend anyone" with his solo album 'Father of 4'. The Migos rapper – who has eight-month-old daughter Kulture Kiari with his wife Cardi B, as well as Jordan, nine, and Kody and Kalea, both three, from previous relationships – wrote a song on his record which details the absent role he played in the first years of his daughter Kalea's life, and says the lyrics were "hard" to write. When asked which lyrics of title track 'Father of 4' were difficult to write, the 27-year-old rapper said: "The lyrics about my beautiful daughter Kalea, and not really having a relationship with her or knowing her mom well. My first daughter. The situation was a tight situation for me but I had to step up, like I said in the song. How it happened was a little rockstar-ish, but I still faced it. I wasn't there for some time, but I faced it, and I'm there now." 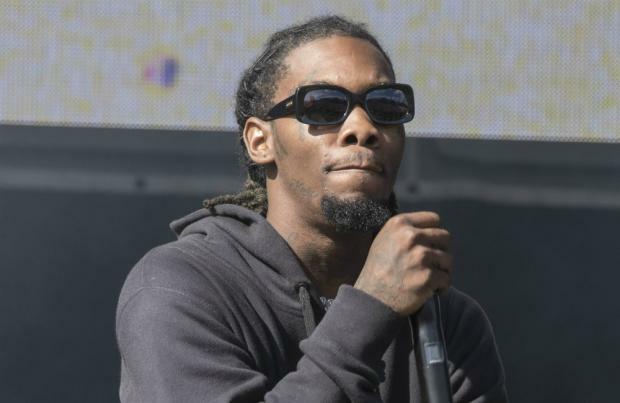 Offset is pleased people have "embraced" the song, as he was concerned he could have "offended" those involved, or people in similar situations. He added: "Those were the hardest bars, though. It's the truth. I didn't want to offend anyone because it's a very sensitive topic. I didn't offend anyone and I appreciate how the people took it. They embraced it. It's understanding the baby daddy's side of it, who's trying. It ain't no excuse if you're not trying, but there's so much to fatherhood that even when you try, they try to play with it like it ain't enough. I was just trying to let the feelings go, and say, 'If you and your kids see eye-to-eye, and y'all got the relationship and y'all can understand, then it's all good.'"